You can easily paste your addresses into Pirate Ship. 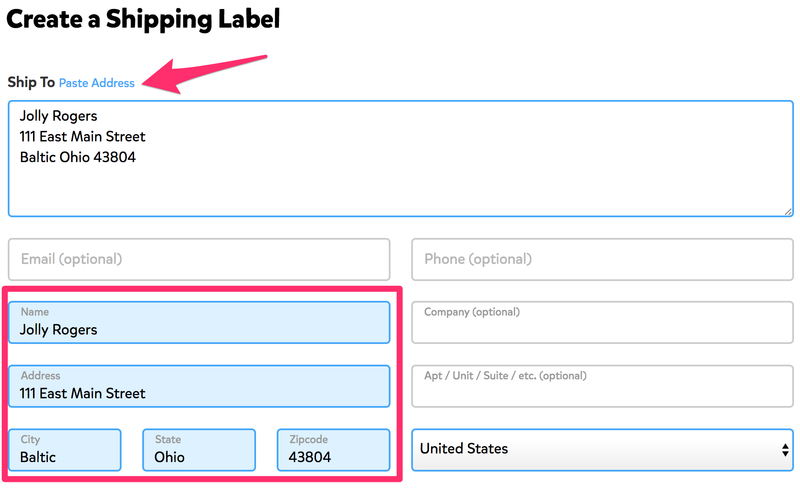 Simply click the blue Paste Address link at the top of the Create Single Label page. Once it's pasted in, you'll always have the chance to review the address it populated to ensure it's correct. If you need to make any changes, make them in the Paste Address field and it will automatically adjust the address below. Pro Tip: When the page first loads, before you click anything, use your keyboard's paste shortcut (CTRL + V on Windows, Command + V on Mac) to automatically open the Paste Address field and paste the address in. We're always working on improving the address interpretation logic, so if you notice any issues, please chat with us!